It was three weeks before we returned to France. In that time Jean-Pierre kept us informed about the weather. 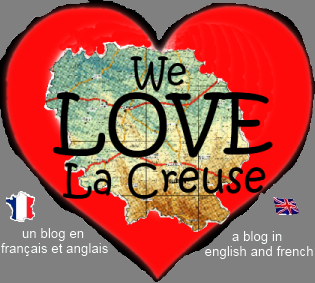 It seems that in La Creuse they liked discussing weather almost as much as us Brits. Winter in La Creuse is usually celebrated by two or three snow-falls in January and February but the snow lasts for a couple of weeks at the most. This year the snow had started falling in January, had kept on coming and didn’t seem to be in any particular hurry to leave. Jean-Pierre had taken to signing of emails J-P Polar Bear as he reported the continued resilience of the snow. But as we landed, in late March, the snow had stopped (although it still clung to the ground like a babe to it’s mothers breast). J-P Polar Bear had his 4x4 back from the garage and was confident we would be able to explore houses off-piste, this time. We paid a second visit to Vallière. It was a family affair; my wife and I huddled in the back, with J-P PB driving his Jeep, and next to him (just along for the ride I think) Madame J-P PB. We spent about half an hour checking out the house and deciding what we could and couldn’t do with it. The kitchen was dark, and it was hard to see (literally) what we could do to improve the natural light. It wasn’t wowing us. We trudged through the snow to an unattached piece of land that came with the house, that we hadn’t seen the first time we visited. We stood still and just listened. It was so quiet you the only sound you could hear was the gentle trickle of the melting snow. Then a man sneezed from the other side of the valley. And a minute later, perhaps from even further away, a dog barked. “We couldn’t play any music if we stayed here,” my wife whispered. "The neighbours would hate it." The dog woofed his agreement.